Remember, some species, such as the Buff-tailed bumblebee (Bombus terrestris), are active in winter and require nectar at this time. You can feed winter-active bumblebees with Mahonia, winter heather, winter-flowering honeysuckle and snowdrop flowers. While we usually associate bumblebees with the sound of summer, they are being increasingly found in winter, especially in towns and cities. If you find a bumblebee in winter or in bad weather, it's best not to take it into your home. If it is a queen (for help identifying queens, have a read of our identification tips), she will need to be outside to search for a place to nest. She may already have a nest that she is gathering food for, with eggs or larvae that are depending on her getting back to it. 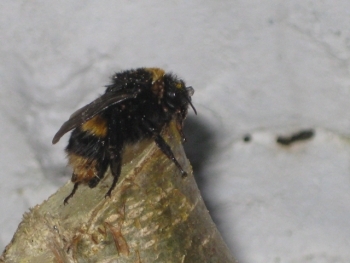 Bumblebees can cope quite well with the cold if they have enough energy. While they get most of this energy from nectar in the flowers, this isn't always available in winter. At any time of year, the best thing you can do to help a struggling bumblebee is put them on or near flowering plants. For more information on bee-friendly plants you could have in your garden, please have a read of our gardening advice. While bumblebees are quite good at dealing with cooler weather, you could place it in a sheltered part of your garden. 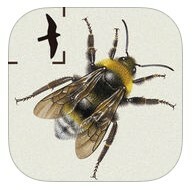 And finally, if none of these options are available, you could also feed bumblebees a mix of white sugar and water. Click here to read more on how to do that. If you find a bumblebee in your home, gently put it outside in a sheltered place, even if the weather is bad. Bumblebees only have a limited life span, and they need to be outside to complete their life cycles, so it's best to let them out to do what comes naturally.